With the launch of Apple’s Safari ITP (Intelligent Tracking Protection) 2.0 algorithm update, advertisers are panicking. If Safari prevents me from following cross-site traffic, what’s going to happen to my behavior and conversion data? Valid question. Let’s discuss the ITP 2.0 updates and how these will almost certainly have some effect on your data. Fear not, there are some best practices and technical changes that we can make to help mitigate and prepare for these effects. Before we immerse ourselves in ITP 2.0, we need to first understand the difference between first-party cookies and third-party cookies because they are the cause and focus of the 2.0 algorithm update. First-Party Cookies - Data that an advertiser collects on its own website. These cookies track you as you move from page to page on a single website. They are extremely helpful because they do things like remember what you put in your cart so you can purchase multiple items in one transaction and remember your username and password for quick login. Third-Party Cookies - Data owned and collected by a company that is not the advertiser. Think social sharing buttons or widgets that you might see on someone’s site. This is a cookie that’s stored in the browser to track behavior from site to site. This type of data is generally helpful for advertisers that want to use behavioral targeting because it creates an opportunity to offer the user a more personalized experience based on web-browsing behavior and history across the web. This enables you to see ads for products and services you care about rather than random junk. What is Changing in ITP 2.0? ITP, Apple’s original machine learning algorithm that is used in Safari, was developed to find and delete advertising cookies after 24 hours to protect user privacy. Cookies can no longer be read in a third-party context due to the removal of the 24-hour grace period. A user can no longer be “invisibly redirected” for the sake of tracking purposes since this update protects again Tracker Collusion. Safari will now report origin-only referrers, which means that any information about a referring URL will only be reported as the domain name. For example, a referring URL such as www.mywebsite.com/bikes will now show up as www.mywebsite.com, not the specific page. Limits techniques like "finger-printing" or "canvas-imaging" that identify you based on personal settings and other configuration data. This makes it harder for trackers to collect user-agent information. NOTE: First-party cookies are still accessible but only for a maximum of 30 days after a user has interacted with a domain. Questions about those? Check out the blog on WebKit for details. Where was it be enabled? If you’re using the Safari browser on MacOS Mojave or iOS 12, you will be affected by the change. 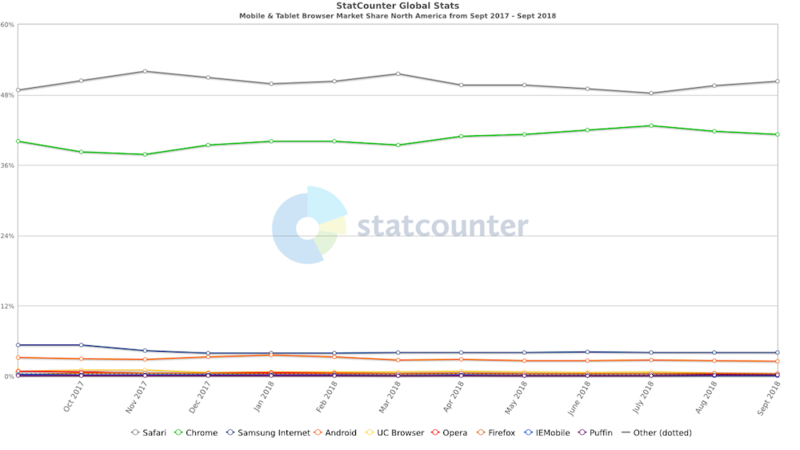 In the U.S. (as of October 2018), Safari users equal 50.29 percent of the mobile and tablet market, so you’ll likely see a dip in traffic and conversions from mobile devices. It will be difficult to track the conversion attribution when a user clicked an ad but converted in a later session. 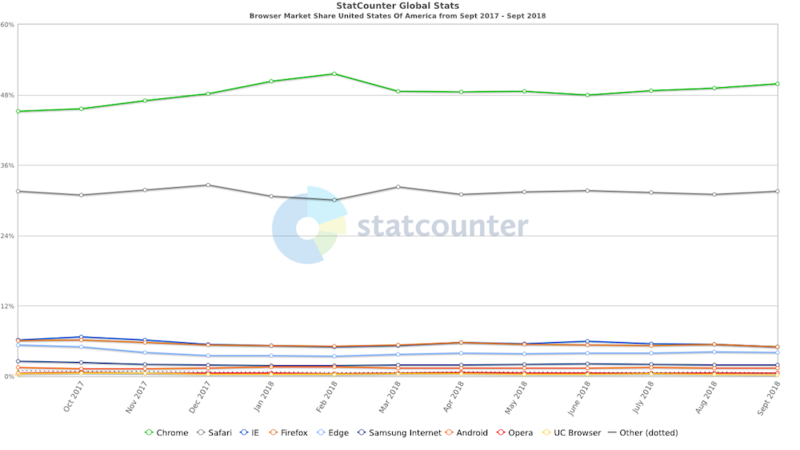 Safari only makes up 9.17 percent of desktop users, so the change won’t be as obvious here. Remember earlier when I said third-party cookies help advertisers use behavioral targeting? With ITP 2.0, advertisers won’t be able to target users based on interest. Remarketing is a big part of that. For example, on Google Ads, there are Affinity Categories and In-Market Segments that let advertisers target people interested in a certain topic or idea like bargain shopping, the outdoors, or real estate. This helps advertiser show people ads that are more relevant to their interests. The same goes for other advertising platforms like Facebook. Since first-party cookies aren’t being spliced unless they’re ID'ed as sending data to a third party, typical remarketing campaigns should still work. That is, the advertiser is targeting someone who, for instance, completed a goal on their (the advertiser’s) website. 2.0 will make advertising more generic and less timely and useful. The Global Site Tag uses first-party cookies to track users on your site and is the simplest option to get conversion data from paid channels. It works with Google Ads, Google Marketing Platform advertising products, and Google Analytics. Google Tag Manager gives you the ability to deploy and modify Google tags and third-party tags. Since, Google Analytics uses first-party cookies, linking Google Analytics and Google Ads accounts will preserve your conversion tracking. NOTE: If you’re using the legacy AdWords tracking pixels, you will need to update to the new UI’s conversion tag. Facebook released a new pixel that will be tracking first-party cookies. This will bypass any issues with ITP 2.0 and Facebook advertising. 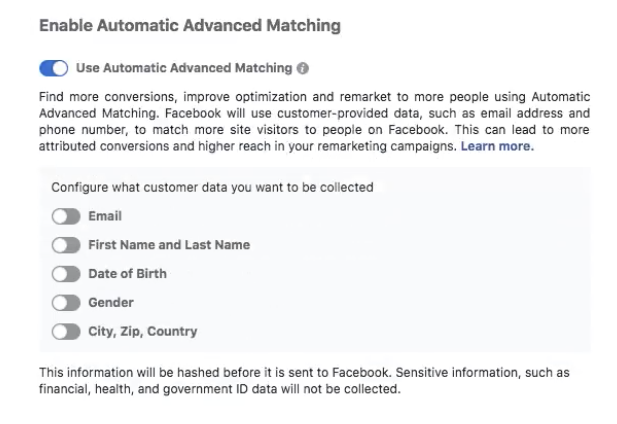 With Facebook’s Global PageView tag enabled, you’ll want to make sure you have Automatic Advanced Matching turned on in your account and you’re good to go! This is an easy one. If you advertise with Bing, you’ll need to ensure the UET tag is implemented and Microsoft Click ID auto-tagging has been turned on. You can set this up in the Shared Library under URL Options. ITP 2.0 is just the latest in an evolving landscape that tries to balance user privacy concerns with advertising and targeting capabilities. With each change comes a host of technological hoops to jump through to make sure your setup is following best practices and maximizing the amount of data you can collect and act on. Things are moving quickly in the Google product ecosystem. One change that’s flown under the radar is the switch to parallel tracking on October 30, 2018. If you’ve been procrastinating on prepping for the change, don’t worry! We’ve got your back.